It never fails to amaze me how media specialists/librarians are presenting themselves as technology specialists to save/justify their jobs. 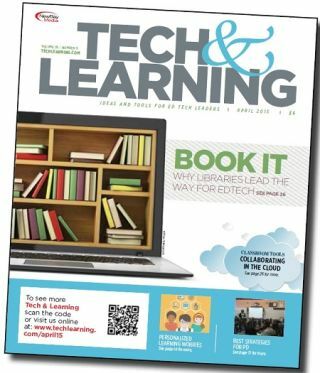 Since when did librarians become instructional technology? What’s next, teaching programming? Educational technology started out of libraries in the 1960’s. Blended programs have been around since the early days, where system IT, instructional IT, and media staff worked collaboratively, cross-training and sharing responsibilities. Unless your name is Nick Burns, which then tells me you will never evolve, consider being more open-mined to what your role actually is. Keeping things silo’ed might continue to let you feel superior and all-knowing—but if supporting users is really your role’s goal, think about bridging versus chest-beating. Yes, blended programs, but never so much overlapping into tech territory; how about Instruct. Tech starts handling the library? See how that flies. It’s all well and good to spout all things noble until YOUR job is taken; and BTW, it’s open-minded. Well, in the three school districts where my role was Director of Technology & Library—you’d be hard pressed to know the actual title of the person—[it included] taking our help desk ticket, checking out a book, pointing you to a resource -online, paperback, or physical. [Work was] often co-located, and always “one-team.” You would also have someone willing to admit they didn’t know something and needed to get another team member to help or take over. We absolutely had specialized staff—but not egotistical to the point of turf wars or toes being stepped on. Eliminating the silo’ed programs is and will continue to be a major hurdle to greater success with technology in schools. You can keep YOUR nice clean, clear-cut roles and protect YOUR turf—but is that best for students? Seems you are protecting YOUR role and job security, holding on to being that single point of knowledge (replace knowledge with failure much of the time). I’d look for redundancy and shared knowledge for sustainability’s sake. Yes, all cozy Mr. DIRECTOR, where your job is singular and you don’t HAVE to worry about another Tech Director taking your job; nice for you! The point is, most of these librarians are ill-equipped and lacking in knowledge to take over these issues they are touting as their new responsibilities; that’s the point! And by the way, failure in my job is not an option. It either works or it doesn’t. I have no issues with sharing knowledge; I’m known for it. I worked in software before teaching, so I have no problem with job-sharing. I reiterate, your job is singular; nice for you, but I’m seeing tech jobs eliminated for these media specialist jobs. They are combining library with tech, so that’s the point! Read between the lines, isn’t that your specialty?